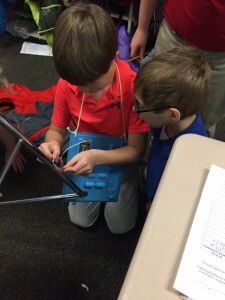 Fourth graders at Rosa Parks have been learning about electricity. 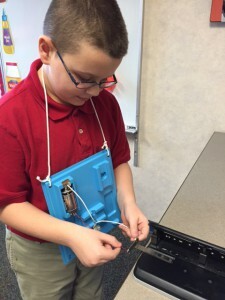 Students recently built series circuits. After making predictions about possible classroom conductors and insulators of electricity, students took turns assuming the role of R2D2 and using their circuits to test their predictions.